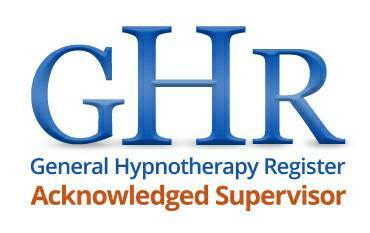 Hypnotherapy and BWRT ®, Professional and Caring Support in Cornwall. Clinical Hypnotherapy. Psychotherapy. Mind, Body and Success Coaching. Bereavement Care and Support. Relationship Mediation. Past life Regression. One of Cornwall's most trusted complementary therapy clinics with a solid reputation for results. Trevor holds a certificate of DBS clearance and works with a wide range of people from children, adolescents and adults. Trevor works together also with Businesses, Education and the Health Sector. "That great feeling when you know you feel better and you know for certain that you have made that change in thinking and feeling that you struggled with for what seemed a very long time. Its simply priceless. Trevor can help you take back control of your life." We offer a free no obligation Consultation of up to thirty minutes. Trevor Wales hypnotherapy Solutions making a positive difference, helping people improve lives, person by person. Established in, Cornwall in 2011 and with over fifteen years experience helping people create real noticeable and beneficial change in their lives. Providing Affordable & Effective Cognitive Mind Based Therapies and Coaching for Personal Inner Change, Health, Wellness & Success, for People & Business throughout Cornwall, Devon & the UK. Whatever your problem or goal big or small , Trevor offers a place where you can talk and be heard. Get in touch today for a free no obligation consultation of up to thirty minutes. Your consultation can be either by phone or arranged at a convenient time for you at Trevor's Practice clinic in town to see how Trevor can help you. Call 01726 69703 or 07740 190261. Trevor's service is discrete, confidential, professional, friendly and caring. Trevor Wales. Dip Hyp. Licensed practitioner. GQHP. BWRT Level 1&2 qualified. 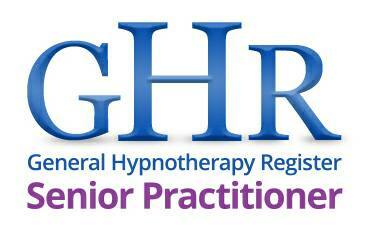 GHR Senior practitioner and Acknowledged supervisor. CRSST. CNHC. MBBRS. Hello and a very warm welcome to you and thank you for visiting the website of Trevor Wales Hypnotherapy Solutions. Trevor's journey to becoming a full time therapist. Everyone at some point in their lives goes through some very tough times and reaches rock bottom. In 2000 Trevor had reached a very low point in his life where many things just were not right. To sum it up in one word. Exhaustion! The loss of his mother around that time and along with other areas of life all seeming to go horribly wrong were a very difficult time. His personal self confidence and self esteem were at an all time low and the pressures of the then current work life balance active in his life, that were always challenging at the best of times, were taking its toll both at work and in his personal life and health and so he started looking for answers to create those internal changes he was struggling with. Trevor read and read continuously searching and researched many books and ideas on creating happiness, wellness, success and self change and could see a glimmer of hope on the horizon. In 2004 whilst coming home from work Trevor was involved in a car accident that left him with a very painful neck injury which turned out to be not just a simple case of whiplash but which went on to have long term complications of chronic pain and which led him to discover Hypnosis and use it successfully for pain management. As a result of the benefits of learning to use hypnosis for pain management Trevor wondered if hypnosis could help with the issues that he was struggling with and those that he had struggled with for most of his life and so he sought out the help of a local hypnotherapist and started the journey of change and success which led him to becoming a fully qualified hypnotherapist. Its true to say that as a result of the changes Trevor made within himself that since discovering the power of the mind to create our personal change within, he also has empowered others to take control of their lives and create lasting positive change, some who have gone on to move overseas to make a major life change and others to create thriving profitable businesses and a very well respected professional learning institution. Trevor Wales Hypnotherapy Solutions Service, our aims. 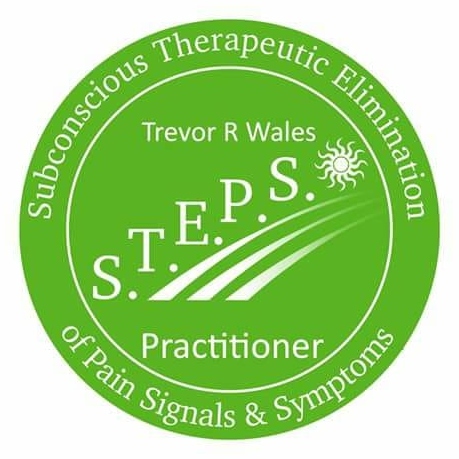 Here at Trevor Wales Hypnotherapy Solutions the emphasis and goal is firmly for his clients successfully completing their therapy or coaching journey, realising their personal goals and leaving feeling much happier within themselves with a true sense of solid achievement, feeling more confident, positive and much better equipped for lifes challenges whatever they may be than when they first booked to see him. Trevor always has time for his clients to talk and ample appointment times are always available with no pressure. 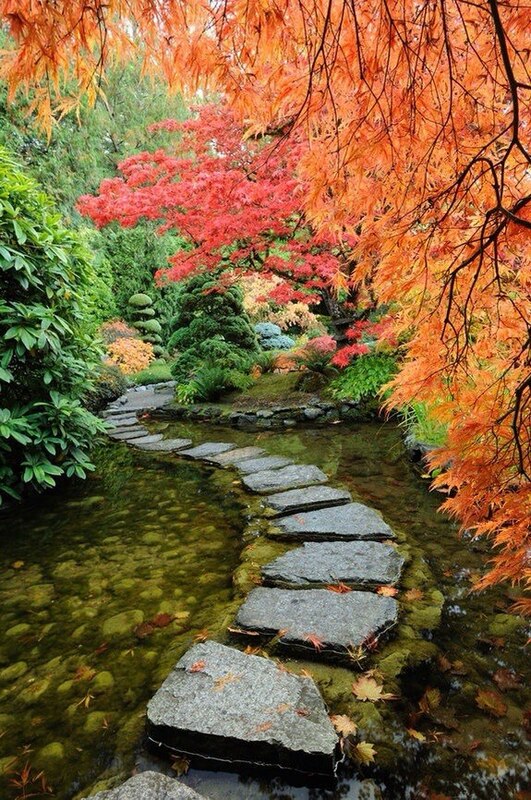 Even when your Therapy or Coaching Journey is successful and over Trevor's door is always open for further help.Your achievement of resolution, success, well-being,happiness and peace of mind are the primary target for Trevor as your Therapist and Mentor. Trevor is a very caring friendly Therapist passionate about helping people to be the best that they can be. Trevor provides a unique caring,supportive, custom tailored integrated personalised approach for his clients individual needs providing Therapy and Coaching for adults, young people and children. His services are available to individuals and can be tailored to small groups, companies and organisations. Many of Trevor's clients have come to see him as a result of referrals from other satisfied clients. Frequently clients will travel from the top, bottom, West and East of Cornwall and not just within the confines of St Austell to come and see Trevor. He not only works with clients one to one at his clinic in St Austell, he also works with clients online via video link and has worked with clients both Nationally throughout the UK, including Devon, Kent, London, Birmingham, Derby, and further afield Internationally within in the E.U. China, Canada and also has had clients travel from overseas to see him for therapy sessions. On his pages you will find both testimonial and video content from some of his very satisfied clients who have some very positive things to say about hypnotherapy, BWRT®, EFT,NLP and how Trevor's services have helped them to feel better. Trevor is a fully qualified Hypnotherapy, Psychotherapy and Cognitive Mind Based Therapies Advanced Practitioner and Success Coach with over fourteen years experience.Trevor holds a certificate of DBS Clearance. Trevor's therapy and coaching approach has a track record for delivering efficient and effective results for his clients with whom he enjoys a great deal of trust from and it is highly likely that he could help you with whatever challenge, problem, issue or goal you have. What do you want from life. Where do you want to go? 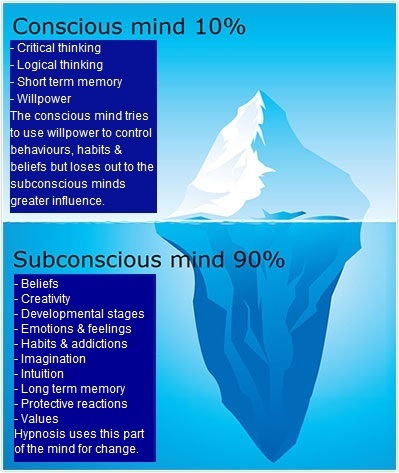 Cognitive mind based therapies can help you to unlock your potential and help you to achieve personal change and growth. Trevor recognises that you may have questions you want answers to before deciding that therapy or coaching is the right choice for you and offers you a completely free no obligation Phone consultation of up to 30 minutes for all requirements relating to Therapy or Coaching. Booking is really very easy, the best thing is to simply call Trevor on the hot button number just below. If you're on a mobile, you can just click and it will open up your dial page ready to call, just press send and Trevor will take your enquiry. Alternatively you can email Trevor via the contact form on this website. A recent review on Trevor's Facebook business pages. "I cannot recommend Trevor highly enough. I have a son with food phobia brought on by issues with his tonsils at a very young age. We decided to give hypnotherapy a try and I am please to say that the results after a few sessions are quite astounding. I would highly recommend this to anyone with a fear or phobia or just about any hurdle you would like to get over in life. I was initially slightly sceptical but I am very pleased that I have been proved wrong." S. E. Cornwall . January 2018. For the full update on this story please go to Trevor's testimonial page. Addictions? Anxiety? Anger? Back Pain? Chronic Pain? Dental Phobias? Depression? 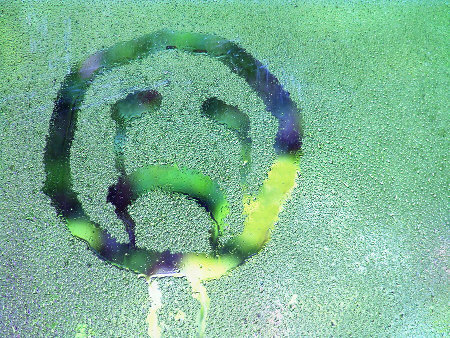 Difficulty coping with Bereavement ? Fears and Phobias? Fears of Flying? Food Phobias? Gambling? Gender Identity and Acceptance issues? General Stress? Panic Attacks? Relationship Problems? 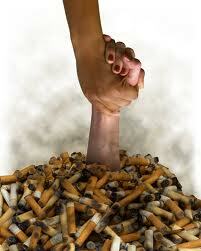 Need help quitting Smoking? Self Esteem and Self Confidence issues? Sleep problems? Social phobia? Sexual problems? Stammers? 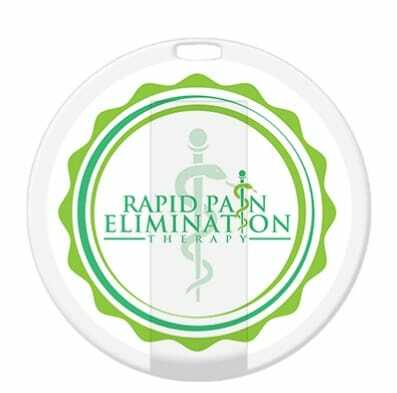 Suffering with Pain management issues? Workplace Stress ? Interpersonal Relationship Problems? Let Hypnotherapy & BWRT® help you take control of this and more. Call 01726 690703 or 07740 190261. Hypnotherapy is a natural and efficient way of creating positive long term changes in thinking, feeling and behavioural patterns in a person that can be used in a constructive supportive way to help create the type of life you want to live. In short it is a way of breaking through limiting beliefs and barriers in the mind. It is a natural way to open the mind to access the inner resources which each person has inside of them, often those inner resources lay untapped, unrealised and underutilised, just out of reach, but they are not out of reach, they are there waiting for you to use them. 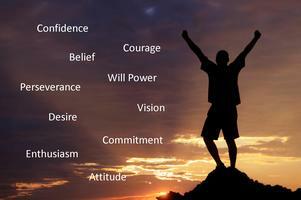 Hypnosis helps to tap into them to create lasting positive change. The coaching and therapy resources which Trevor works with can help with all of the above and more, to help you find relief from your challenges, achieve your goals and ambitions and to feel better within yourself. Click on the picture above to watch a short video explaining about how hypnotherapy, BWRT®, EFT & NLP can be used to help you to feel better in yourself, remove life limiting blocks and how hypnotherapy can be useful to develop successful mindsets to help you achieve success and unlock your personal potential. Trevor also provides supervision and coaching for hypnotherapists. Trevor is a very friendly, thorough,straightforward and direct person who is easy to talk to. He is also a good listener as listening is a vital part of what clients want. You can tell him as much or as little as you like, either way he will be able to help you. Trevor works with Hypnotherapy, BWRT®, Emotional Freedom Therapy treatments, NLP, Counselling and Success Coaching in his therapy clinics to help clients resolve what are sometimes deeply complex personal issues, to feel better and make progress in achieving their personal goals and help them to get what they want out of life. Trevor has a deep passion and enthusiasm for being able to help people and he is very committed to his clients health,wellness and personal outcomes. Clients who engage Trevor for therapy will find that he is very friendly, easy to talk to, professional and discreet and your confidentiality is assured at all times. Trevor is a very good listener, someone who is non Judgemental, empathic and client focused. 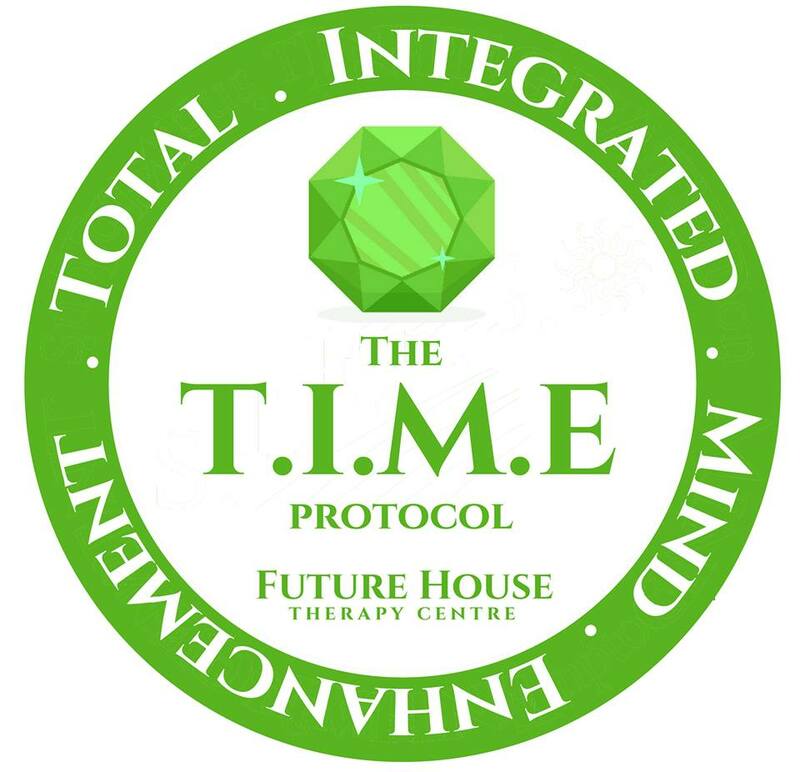 His goal as a dedicated professional hypnotherapist and Brain working Recursive therapy Practitioner ® is to provide a safe,encouraging and compassionate place where clients can get help support as they navigate through the challenges of life. 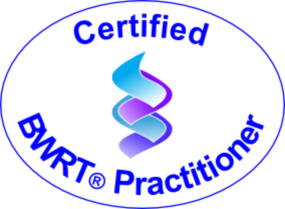 BWRT is a great alternative or complement in therapy with hypnotherapy and where appropriate Trevor uses both therapies in separate sessions with clients. Many of Trevor's clients love BWRT for the fast and efficient way in which it works and the results it delivers. 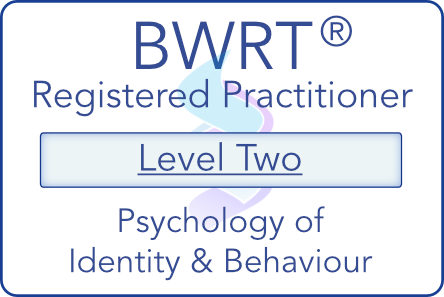 Trevor has been a fully qualified BWRT level 1 practitioner since its inception in 2014 and in March of 2017 Trevor attended and successfully completed a level 2 advanced practitioner training weekend training workshop and continues ongoing research and training. As of October 24th 2017, following successful submission of a dissertation he has now received his advanced practitioner certification for Level 2 advanced therapy work. Here is what one client said about Trevor's therapy service after her successful treatment programme. Trevor works with his clients helping them to feel better and achieve what it is they want, often quite quickly, helping them to move forwards and find positive solutions and resolve often what seem almost unsolvable complex issues, or simply helping them find those inner resources to spur them on to successfully achieve their personal goals. Trevor does this either on a one to one basis, or with groups, organisations and businesses within the community of Cornwall, Devon and across the U.K. providing affordable and cost effective therapy and success coaching services. Trevor has helped many clients over the decade that he has been in practice. The quality and value of Trevor's therapy services are reflected in the numeroustestimonials and letters of thanks that he receives from satisfied clients expressing how Trevor's way of working with them has helped them to resolve their issues and feel better within themselves and create the improvements they were looking for in their lives. .
No matter what you’re going through, there is hope. Can therapy work for you and help you to get what you want from life? As one of Trevor's clients wrote in their personal testimonial to him, you will never know until you pick up the phone and have a chat. It costs so little to talk so why not call? Trevor invites you to call him for a free no obligation chat to see how he can help you. Trevor offers a confidential discreet complimentary phone consultation of up to thirty minutes. You can reach Trevor on 01726 69703 or 07740 190261. How do Trevor's therapy services help you to get what you want ? The chances are that if you are on this website page you or someone you know may be struggling with some difficult emotional situations or personal issues and may relate to some of the presenting problems outlined in the content below that people come to seek Trevor's help with. Practically everyone needs someone to turn to for help in challenging times,whether it's dealing with difficult personal situations such as relationship problems,work related problems, bereavement, depression, low confidence and low self esteem or depression for example, or deeply personal challenges and issues. Within the last ten years Cognitive mind based therapies and Hypnotherapy has certainly become a very big subject and very much in the public eye for being a positive therapeutic process for good with which to help and benefit people with in numerous ways, to help them to feel better and improve their quality of life in a completely natural way using just the phenomenal power of the human mind. Trevor uses a variety of established, proven, Cognitive mind based therapies because everybody's needs are different and if the world of therapy is new to you, you can Trevor's my blog on why he uses different therapies here. Many people now see the positive life changing value that cognitive mind based therapies and hypnotherapy can bring to people's lives. Hypnotherapy and hypnosis are not new however and both have been used for centuries in various ways to help people. Why choose hypnotherapy and what can it do for me? All of us at some time in our lives seem to have some kinds of problems as we go through life. Most we are able to resolve on our own. Some however seem to us to be completely unsolvable and we struggle to make any real positive lasting change to our situation at all. It’s fair to say that a great many of those unsolvable problems are indeed rooted in our habits, our thoughts, our past and in anxiety and entrenched beliefs and behaviour patterns that we seem unable to control and this can spill out into many areas of our daily lives affecting a lot of key areas, things like the quality of our life, work satisfaction, relationships, sleep and many other areas too. Long term anxiety can lead to physical health and mental health problems. It might surprise you to know that they may not be as unsolvable as you think. 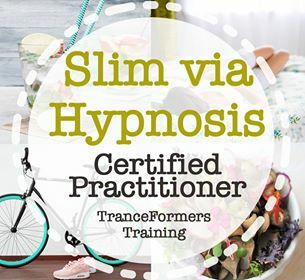 Trevor is one of the very first practitioners in the U.K. and the very first Practitioner in Cornwall of the exciting new dynamic Hypnotherapy Weight Management System ‘Slim Via Hypnosis’, delivered by Tranceformers Training UK. Click on the image above to be directed to the practitioners register page. Dreamscaping are Time are very powerful transformative content free guided therapies that can help you to resolve and manage many emotional and physical problems and discover your true purpose and potential. People are very often surprised just how different they feel after just a single one to one session. Call Trevor today to find out more. Are you suffering with pain, short term or long term, I can help. Hypnotherapy can provide a solution to the reduction and management of pain both short term and long term. Hypnosis is a very versatile therapy tool that can help you to create great change in your personal outlook on life in your thoughts, behaviours and actions and how you feel, helping you to achieve the success you want to achive. You may have heard that hypnotherapy can be a very big positive help in helping to make those necessary changes in thinking that affects beliefs and behaviours very often leading to lifelong positive changes in a person's life and you may be wondering if hypnotherapy can help you too, so you may be looking to find out more about hypnotherapy and cognitive mind based therapies and how they can help you to get the changes you want in your life. Hypnosis and Hypnotherapy can be helpful in the following key areas of people's lives. 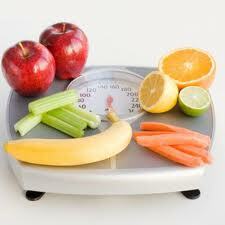 Behaviours and habits, such as, Addictions, Anxiety, Fears and Phobias, Emotional Eating, Nervous habits, Quitting smoking. Problems of a sexual nature. Emotional difficulties and problems, such as Depression, Anger management, bereavement and grief, Self confidence, Self esteem, Relationship problems. PTSD. There are also areas of special interest in hypnosis such as 'Past Life Regression Hypnosis,' which for people with an open minded interest and disposition can give them a deeper insight into who they are and can possibly provide answers and solutions to some of the issues in their lives. This is an area that is of Special interest to Trevor having extensively researched the subject over many years. Please feel free to enquire. Alternatively you may simply be curious and wondering how cognitive mind based therapies and hypnotherapy may be able to help you to develop your potential such as improving an area of personal performance be it academic,the arts, business or sport. Most therapy sessions are typically between sixty to ninety minutes and the frequency of sessions is normally between three to four weeks apart. You can read what Trevor's clients think about how therapy has been able to help them access their own best inner resources and lead better fulfilling lives by taking a look at the testimonial page. Why not take a look? Why not contact Trevor today to set up a session? Trevor will be very pleased to talk with you soon. Whats included in Trevor Wales therapy services? To find out about opening hours and what is included in Trevor Wales' therapy services. Click on the link here. Where is Trevor Wales hypnotherapy Solutions based? Trevor is based in Cornwall and has comfortable therapy rooms which are conveniently located in the town of St Austell within easy reach of car parks, public transport and taxi services at two locations in St Austell. Trevor also has practice locations in Bodmin and in the heart of Truro at Lemon Street. For groups,organisations and businesses your requirements can be met either at your location wherever there is a suitable space or at comfortably appointed training venues in the heart of St Austell with beautiful views looking over the St Austell Bay area. For disabled clients, please note that one of Trevor's venues in St Austell is disabled friendly with free parking. Please call Trevor on 01726 69703 or 07740 190261 to find out more. Can't get to Trevor's practice locations? For clients who are unable to travel to see Trevor at his practice clinics,Trevor's therapy services are also available in the comfort and privacy of your own home.This service is available throughout Cornwall and Devon. Trevor's therapy services also extend beyond the boundaries of Cornwall and Devon and are available by Skype or Zoom video link and are every bit as just as effective in helping people to achieve what they want as appointment sessions held in his clinics. Trevor has clients both nationally and worldwide who have left very positive testimonials and who have successfully benefited from working with him in this very convenient way. BWRT® Its fast, dynamic and effective.Trevor has had great success working with this therapy because clients are often so amazed with the results. Click on the image to read more about why BWRT ® is a very good compliment and alternative to hypnotherapy where appropriate. 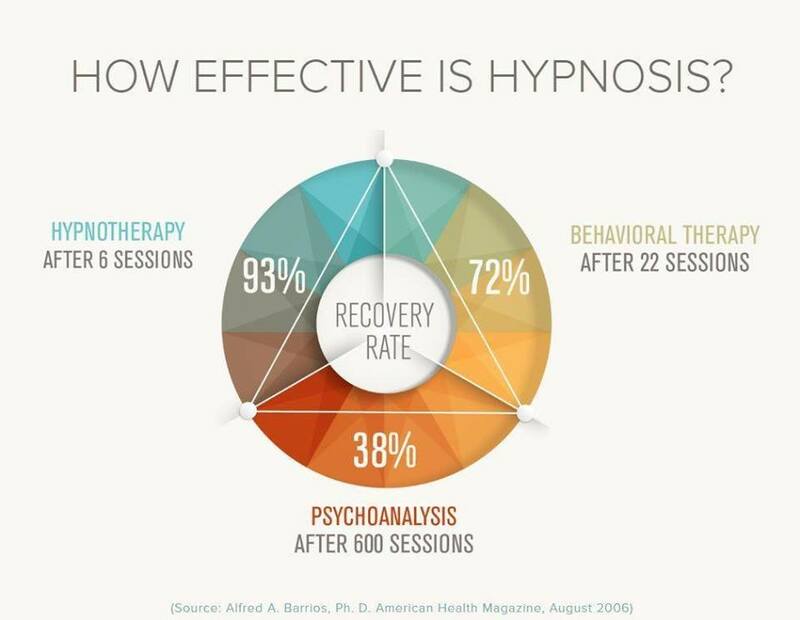 Click on the images below to discover how hypnosis can be used for specific issues such as weight management, stop smoking, seasonal affective disorder and depression. Busy life? Find it difficult to relax and unwind? Would you like to feel more relaxed and at ease? Would you like to sample a short hypnosis session for free ? Do you wonder what it feels like to experience hypnosis and to feel more relaxed than you have probably ever been before? How would you like to soothe away the stresses and strains of each day without even having to do anything more difficult than simply listening? You can try Trevor's complimentary relaxation hypnosis download of just 17 minutes at no charge. Trevor's free gift to you. To receive your free MP 3 download just Sign up for Trevor's newsletter and receive my Free Mini Relaxation Hypnosis MP 3 by way of a thank you. To claim your moments of peace, tranquillity and stress busting, simply click here and send me your email details on the contact form on my website that you will redirected to. I will send my mini relaxation session by return. No strings, no pressure or hard sell. No spam, your privacy is respected. Medical disclaimer:- N.B. This free Mini Hypnosis relaxation session is intended for recreational purposes only. No medical benefits are claimed or implied. Whilst Hypnosis is generally very safe there are a few caveats that would present some risk to health. If you suffer from a Serious Heart Condition, Epilepsy or you are being prescribed anti psychotic medication you must not use this free download and Hypnotherapy would not be recommended for you. Trevor Wales Hypnotherapy Solutions accepts no responsibility or liability if any users falling into the above category chooses to ignore the safety advice described above. Some reviews from some happy customers:- All reviews are used with express permission from my clients. I listened to your MP 3 you sent me through email and wow!! I contacted Trevor to see if there was anything he could do to help me with my depression and we had a lengthy chat. He then sent me his free relaxation MP 3. I've listened to it every day since he has sent me it and I can honestly say that it’s brilliant. It really helped me chill out almost every day and take everything in my stride and not let things bother me. I can’t thank him enough for the MP 3 alone. Your privacy and how we store and handle your data is very important at Trevor Wales Hypnotherapy Solutions. Confidential and discrete mean confidential and discrete. Trevor Wales Hypnotherapy Solutions is fully compliant with the current GDPR legislation and is a registered data controller. Also of greater importance is that Trevor Wales Hypnotherapy Solutions clients have a very clear understanding of the Therapies being offered and there intent in respect of medical and health conditions. Click here to be directed to site terms where you will be able to read a full disclaimer statement along with a GDPR notice in respect of your privacy. If you think we can help you, why not call Trevor on 01726 69703 or 07740 190261 for an informal no obligation enquiry. Trevor looks forward to your call.